Classification by the tourist office: 3 FLOCONS GOLD and prefectural: 2 stars. 3 BEDROOMS - 2 BATHROOMS WITH WC. 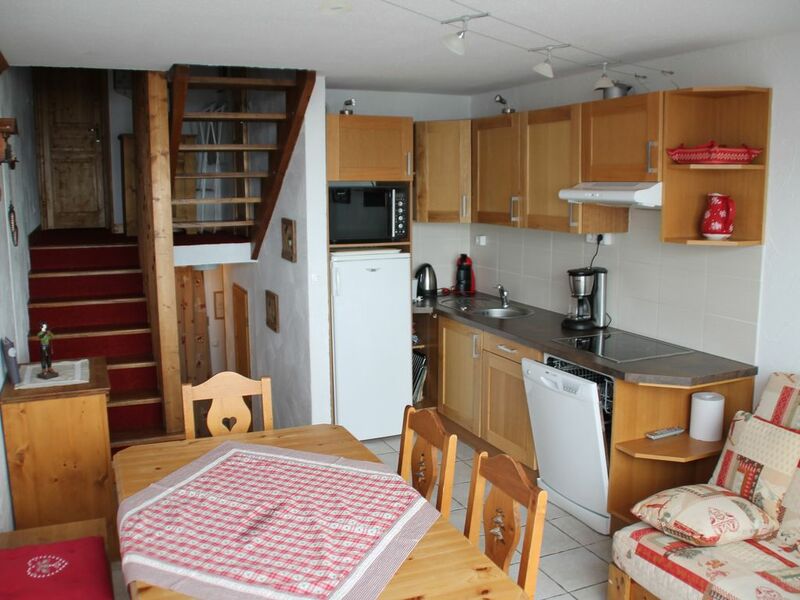 1 ROOM TO LIVE WITH AN IMPREGNABLE VIEW ON THE MASSIF ALPINE. SKI LOCKERS ON THE FLOOR AND IN THE BASEMENT WITH DIRECT ACCESS ON THE TRACKS. PIECE TO LIVE: CUISNE WITH MULTIFUNCTION OVEN. DISHWASHER. KETTLE. TOASTER. SERVICE RACLETTE, COFFEE MACHINE, EXPRESSOS. 1 BEDROOM (mountain view) WITH 1 BED OF 160 (duvet) TV- BED UMBRELLA FOR BABY. NUMEROUS STORAGE IN EACH ROOM. 2 BATHROOMS WITH EACH 1 SHOWER, VASQUE, DRIED TOWEL AND TOILET. NEARBY: DIRECT ACCESS IN THE CENTER OF THE STATION WITH AN OUTSIDE ELEVATOR. IN THE GALLERY OF THE RESIDENCE LE BRELIN: BREWERY-BREAD-RESTAURANT-SKI RENTAL (Boardskidom) - PRESS-STORE OF SOUVENIRS (handing of keys: the bookstore) -FORFORT OF SKI IN THE SHOPPING CENTER OF THE BUILDING. PIECE TO LIVE: CUISNE WITH MULTIFOCTION OVEN. DISHWASHER. KETTLE. TOASTER. SERVICE A RACLETTE. 2 BATHROOMS WITH EACH 1 SHOWER AND TOILET. BREAKFAST-BREAD-RESTAURANT-SKI RENTAL (skidom) - PRESS (handing over of keys) -FORFEIT IN THE COMMERCIAL CENTER OF THE BUILDING. The toilets are in each bathroom. Towel radiator. shoe dryer (2 pairs) in the entrance closet; raclette machine ; Fondue service - tourist tax in addition. 17 ans que je vais aux ménuires ts les ans et cette année (2011) ns y retournons appartement impeccable pour la famille que ns sommes . Apartment located BRELIN neighborhood with all amenities. Exceptional view of resort and mountain.